When searching for pre-engineered metal buildings for one’s own property, Panel Built is the number one solution on the market. This is a proven, experienced team that understands what is required to ensure perfection and overall quality. There are many benefits for clients wanting to go with pre-engineered metal buildings for their property. Panel Built is home to some of the finest options available and are constantly working hard to make sure the results remain. 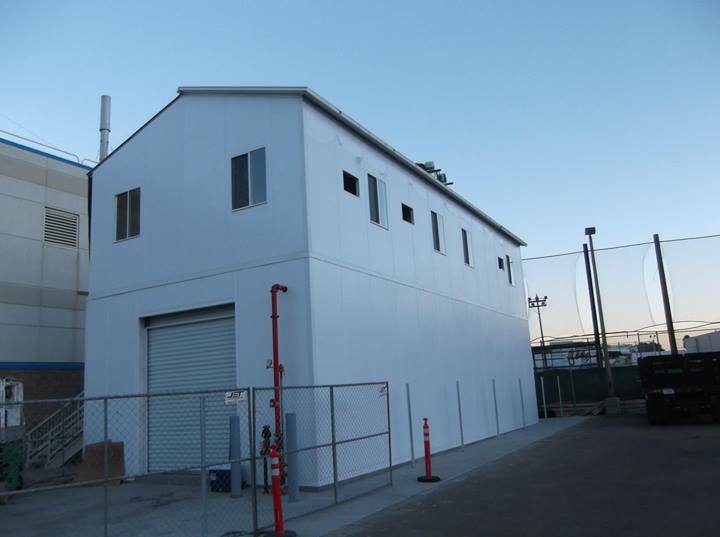 When it comes to pre-engineered metal buildings, one of the biggest worries can be how easy the installation process is. Will it be done in a quick and efficient manner? The period to install the building is minimal at best and this is essential for businesses wanting to get back on track in a hurry. Clients do not have to worry about the prefabricated metal buildings taking time to install. The professionals on hand will ensure the job done is in a timely fashion, while maintaining all quality standards established by Panel Built. The team will go the extra mile to make sure the job done is in accordance with one’s requirements. Worried about the prefab metal buildings prices? When looking at the pros and cons of these buildings, the price points are always a major positive. There are various intricacies related to erecting a new building in any location. It is important to understand the amount of money one will be saving not only in the long-term, but in the short-term too. This is a solution for those who are on a budget and want to make sure they have an economical solution in place that maximizes efficiency and increases productivity. The best available metal building offices for sale are essential for those clients who want something priced fairly while still delivering quality. At times, clients will not be happy with where the building has been placed well after the job is done. The best part about the entire process is how easy it is to pick up and reinstall in a new location. This is wonderful for those businesses that are constantly changing around and require a building that is easy to move about. This saves a lot of money for those clients that need the buildings for their work to be done, yet need them in different locations for maximum efficiency. This is an excellent solution that will save a lot of money, time, and overall effort. The entire purpose of getting a pre-engineered solution is to make sure there is a sense of convenience for the client. If there is no comfort in having the metal building in place, there is no point in finding a solution. Panel Built makes sure clients are satisfied with their building and it acts as desired. For some, this means using the building as a storage facility, while others prefer to use it as an office. Regardless of the need, this is a convenient solution that will last for a long time. How long do these buildings last? This can become an issue for those who are on a budget and want to make sure the building does not fall apart at the first sign of stress. The team makes sure the building passes all safety codes and not to mention personal quality controls are in place for perfection purposes. This makes sure clients are left satisfied with what is being offered. These buildings can easily be installed and reinstalled without seeing any wear or tear. This is terrific for those clients who understand they need a long-term solution and not a short-term fix. What about the materials that are used to create these buildings? Panel Built is always looking to find the finest materials to make sure the building lasts and proves to be a wonderful solution. There is nothing worse than having to pay maintenance costs because the materials used were of no use. This is where Panel Built stands out because it makes sure all aspects of the buildings are up to date. This is a team that understands what is required from the smallest details to the overall design. Perfection is the only accepted standard for Panel Built.